Famous Itineraries follow the footsteps of well-known travelers. 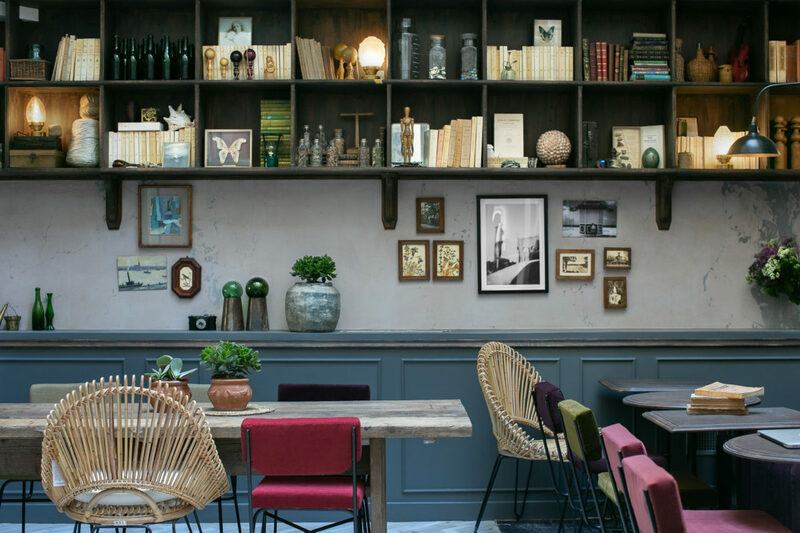 Here, Paris-based writer Sara Lieberman explore’s Simone de Beauvoir’s old haunts—from cafés, clubs, hotels, and parks—and posits where she might hang her hat were she alive in Paris’s creative scene today. 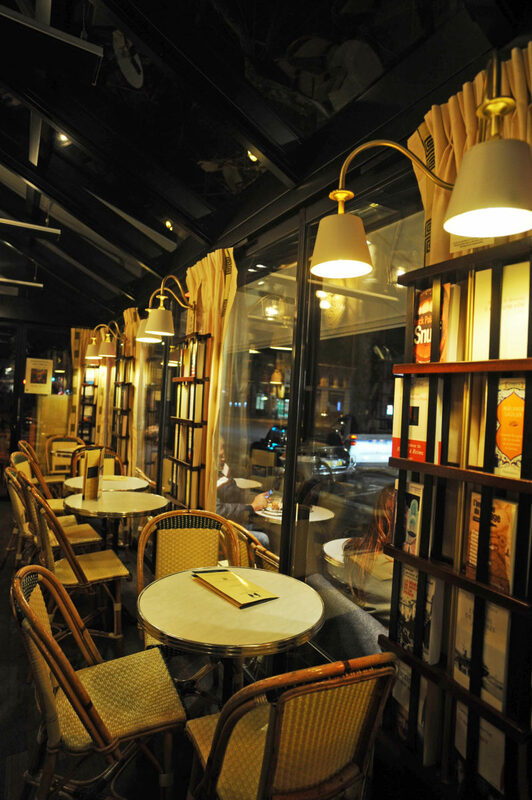 I’m at Les Deux Magots, in Paris’s 6th arrondissement, where refined, elderly male waiters in the quintessential long white aprons, black bow-ties, black vests, and a scowl navigate the floor like checker pieces—sliding here, jumping there—all while managing to avoid my attention. Despite having asked three times, the carafe of water I long for has yet to appear. My guess is it’s because the bill’s been paid and I’ve been sitting in the same spot—a highly coveted one, at that—for nearly two hours now. With a notebook and pen to my left, the remnants of a café crème to my right and a brass plaque that reads S. de Beauvoir on the wall behind me, I am probably just another cliché to Monsieur French Waiter. 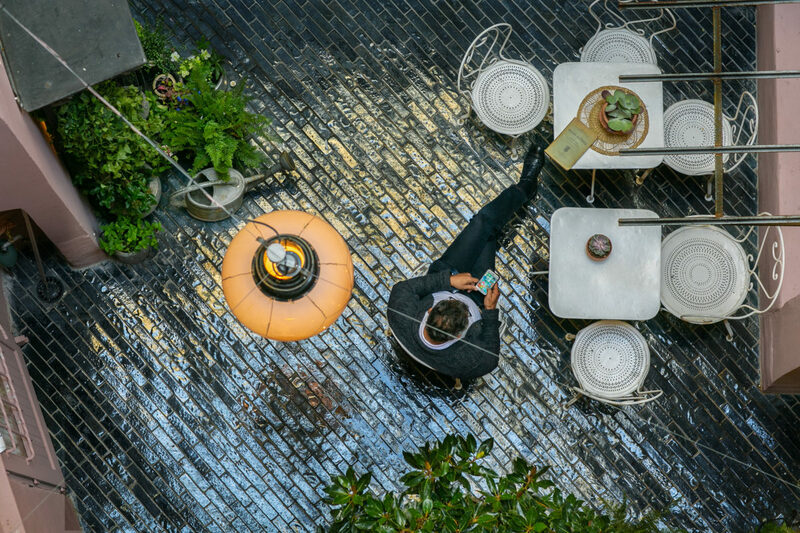 Surely he’s used to it.The famed all-day cafe on Boulevard Saint-Germain remains atop many tourists’ lists since it was a favorite amongst artists and intellectuals of a bygone era, such as the aforementioned French feminist, writer, and philosopher. 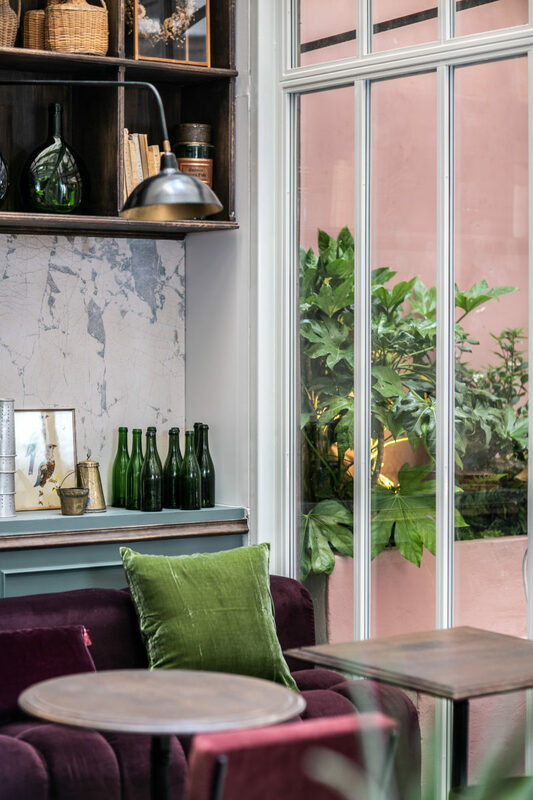 She sat on the banquette side of this very mahogany table, next to these very floor-to-ceiling windows framed by these very green velvet curtains. Despite only recently educating myself on S. de Beauvoir—here, we’ll refer to her as Simone—I already like her style. I would’ve chosen this seat, too—that is, if I were living in Paris circa late 1940’s. But I’m not. 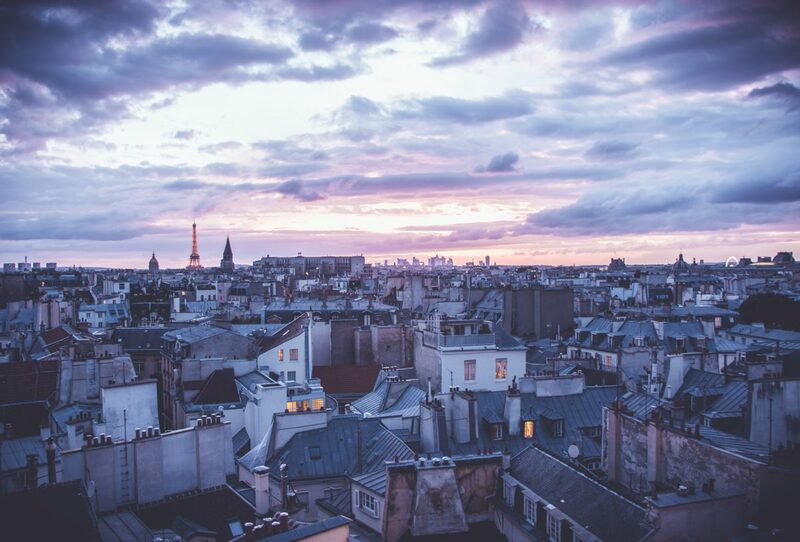 I’m living in Paris circa now, which is why I, myself a feminist, writer (but by no means a philosopher) generally situate myself over on Rive Droite, on the right bank of the Seine and the area where much of the city’s creative class live, work, and play. In fact, if Simone were a rising literary sensation living in the City of Light today, I think she’d do the same. The born-and-bred Parisian even hinted at her desire to embrace “exotic” Belleville—Paris’s de facto artsy, cool hood—in her first autobiography, Memoirs of a Dutiful Daughter, published in 1958. 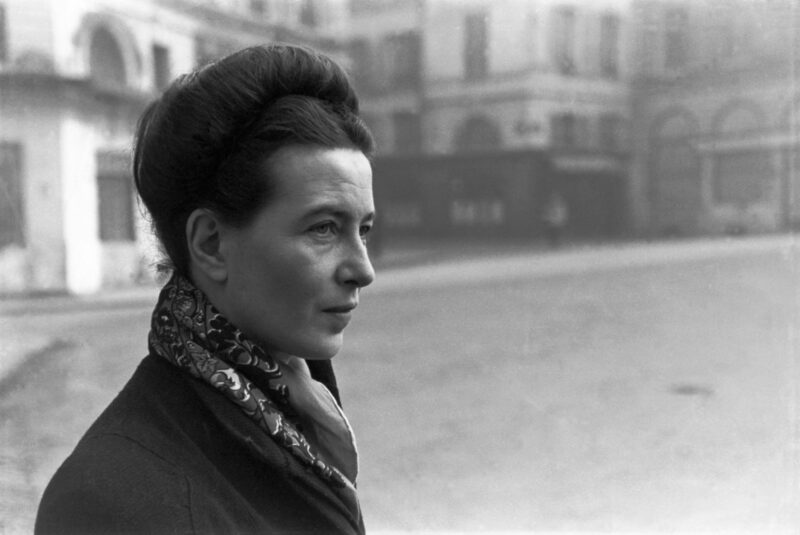 French writer, Simone de Beauvoir in Paris, 1945. Her confidence boosted my own as I traipsed around the Left Bank following in her footsteps, and as I swooped back over to my side of town to visit like-minded venues where I imagined she and her entourage (and, in turn, you and yours) might frequent today. Like Les Deux Magots and its famous neighbor Café de Flore, this establishment north of Canal Saint-Martin and just south of Belleville, has all the iconic Parisian café elements locals and visitors alike desire: menu written on a mirror, side-by-side rattan terrace chairs and an all-day convivial vibe that stretches from 8 a.m. eggs and coffee, to 5 p.m. cheeseboards and wine. The difference? Fewer tourists, quality coffee roasted locally and superb natural wines selected discerningly. In fact, they even have live jazz on Saturday afternoons. On a recent visit, after knocking over a glass bowl with my coat due to the squished set-up on the heated terrace, I sat for hours reading without nary an eye-roll and an oft-refilled carafe of water. 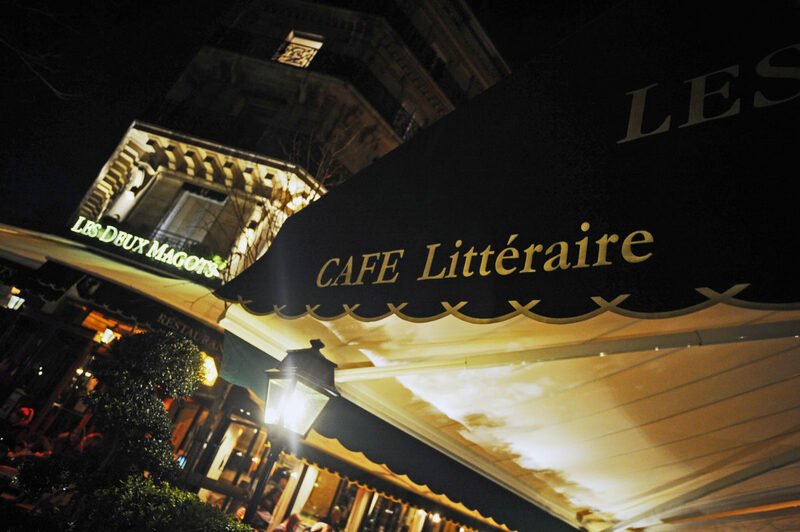 Photo courtesy of Les Deux Magots. Photo courtesy of La Planque. Late night, Simone enjoyed a good gin fizz at clubs like Le Tabou in the basement of the Hotel d’Aubusson on rue Dauphine. 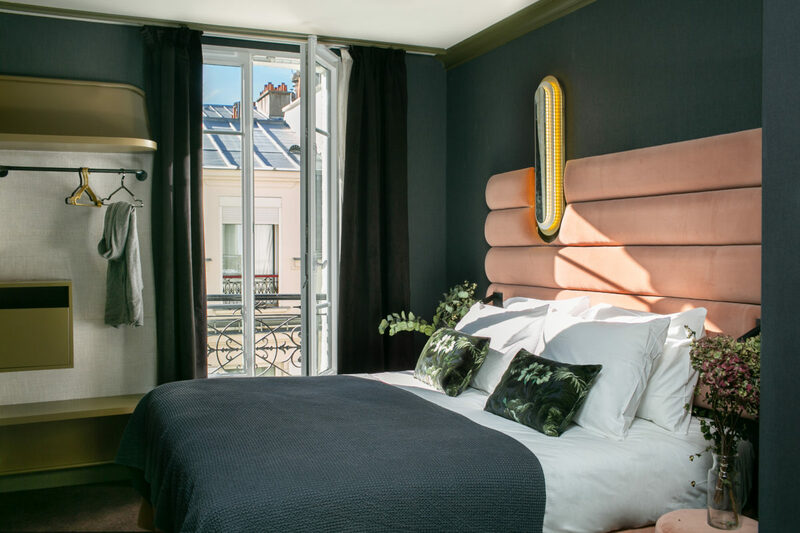 Unfortunately, this underground hotspot once clouded by cigarette smoke and the jazzy tunes of Miles Davis, closed in the late ‘90s and will soon become Hotel d’Aubusson’s spa. Contrary to its days as a dungeon-esque disco, the address now boasts a stunning facade dripping with ivy and automatic doors that caught me off-guard upon approach. Inside, the intoxicating scent of hot chocolate hit me immediately at its Café Laurent, which hosts musicians most evenings. The last time I went clubbing may have been when New York City’s Limelight was still a dancehall in an old church as opposed to a mini-mall in an old church, so I was pretty petrified to first leave my house at 10 p.m. for a night of boozing and grooving. 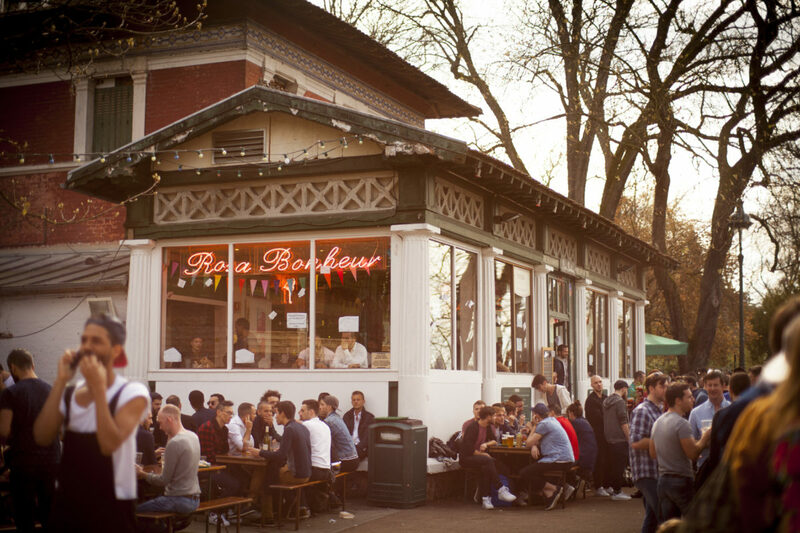 I recruited my youngest, most energetic friend to join me at the park location of Rosa Bonheur’s weekly female DJ night and surprisingly found myself disappointed when I learned they close at midnight on Thursdays. But it was a joyful 90 minutes, complete with a mixed crowd who took pleasure in each other—and the stripper pole in the center of the dance floor. No telling if Simone, whose lifelong relationship with Jean-Paul Sartre was peppered with freewheeling flings, would’ve given it a try, but surely she would’ve taken pleasure in watching. 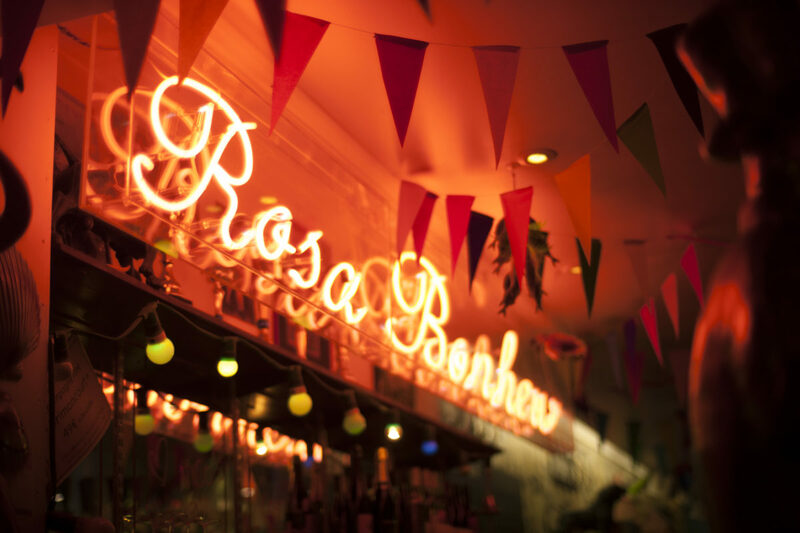 Photo courtesy of Rosa Bonheur. Simone liked to sit by the Medici Fountain in the English Gardens, located in the park’s northeast corner. And, despite a strong presence of gnats hovering over the water on the day I visited, I could see why. It’s a quiet, solitary section of an otherwise very bustling park. There’s the children’s carousel with its brass rings; the large pond where kids chase sailboats; the cigarette-smoking teenagers perched on the park’s classic green chairs; the elders playing pétanque at 2 p.m. on a Tuesday complete with civilized racks to hang their coats. There’s even an apiary for beekeepers. It’s a park for everyone, at any age, at any season, at any hour. Measuring about the same size as Luxembourg, this hilly esplanade in the 19th arrondissement is actually where I had my first picnic the summer I decided to move here four years ago. I recall walking into it as Alice might have Wonderland: completely awestruck. 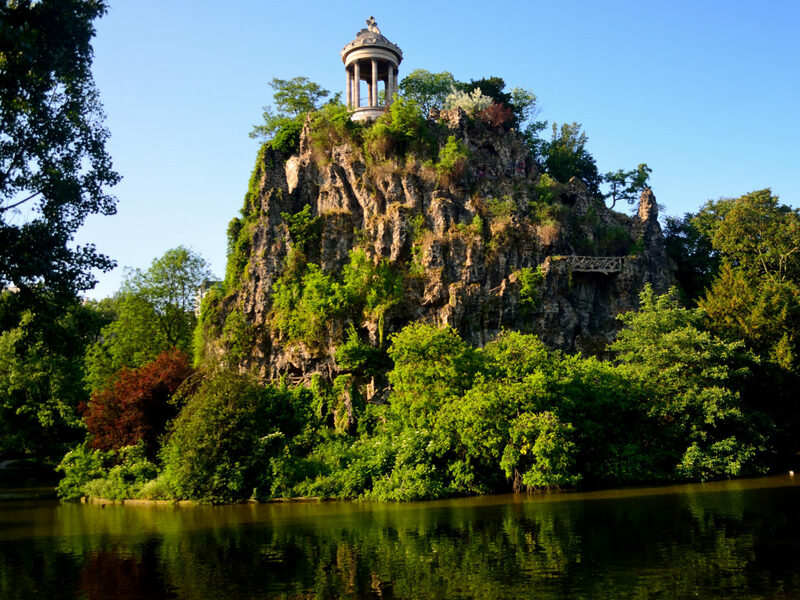 It felt like the place to be on a hot summer day with scores of Parisians exploring its caves, waterfalls, bridges and viewpoints that overlook the whole of Paris. On occasion, Simone crossed the river to “stride purposefully” through this landscape, which, she wrote, “smelt of damp and greenery.” I’ve not doubt that if she were a Right Banker today, she would’ve strolled more regularly in its wild refuge. 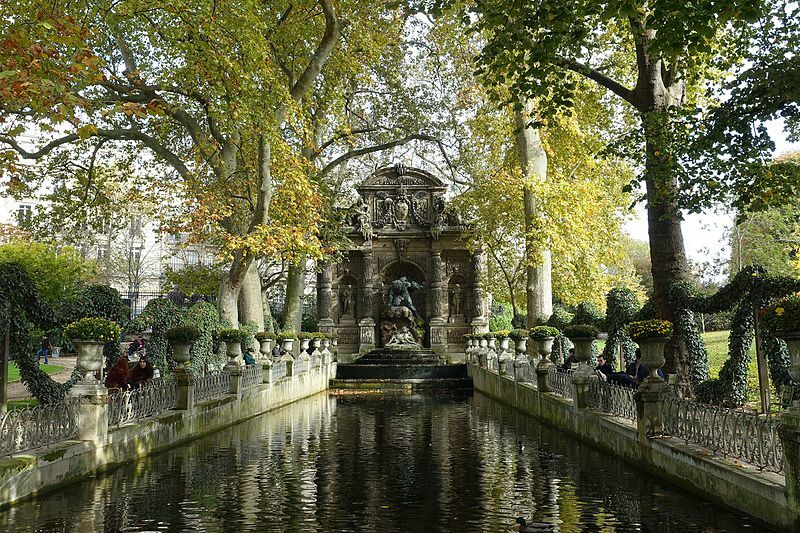 Medici Fountain at Jardin de Luxembourg. Photo courtesy of Wikimedia Commons. Parc des Buttes Chaumont. Photo by Tom Hilton via Flickr.